The Laguna Beach Unified School District now provides full video streaming of its board meetings online. Public comments may be given for items both on and off the agenda by filling out a blue public comment form. Forms and form rules are made available at each meeting. Archived videos may be accessed below. 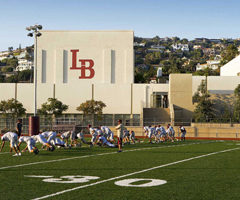 If you have difficulty accessing the videos, please email us at info@lbusd.org. For videos containing Closed Captioning, select <CC> on the playback screen to enable captions.